I always like the coming-of-age, finding oneself type stories and this oeuvre from Gail Ward Olmsted definitely fit the bill. 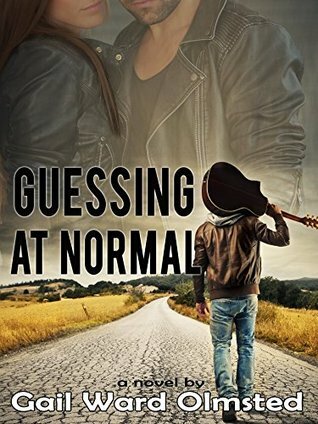 Jill Griffin is very much doing some serious soul searching in this book and trying to find out where her heart lies at the same time. Involved with rock star James Sheridan, she also gets mixed signals from his brother Alex which put her in doubt of the relationship she is in. What girl hasn't been there a time or two, though possibly not with a rock star. I could definitely understand the confusion that Jill found herself in in this situation because sometimes it isn't always clear what the heart wants (or needs). Jill also felt the longing to make her own mark on the world and this is also something I could understand as I also long to make my own impact but sometimes struggle with the means of doing so, like she did. The story itself was something that spoke to me in personal ways. Maybe I hadn't been in exactly the same places Jill found herself, but I definitely could understand the way she found herself feeling which for me, is the mark of a great story.